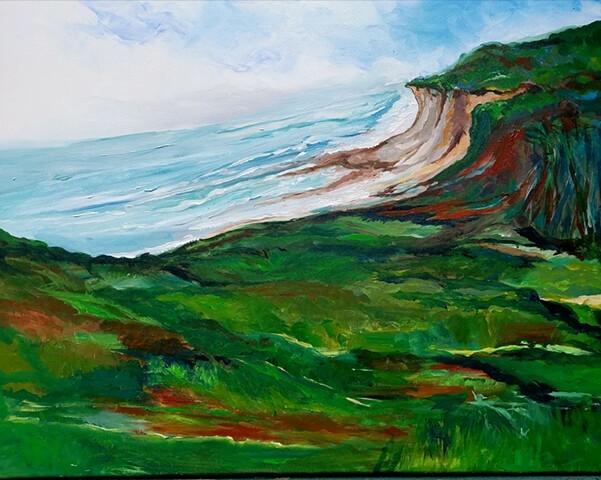 Montauk Breezy Cliff, inspired during my trip to Montauk, Long Island at the light house. The beauty of transcending a breezy point where the horizon greets clouds, ocean and green fields at the highest point overlooking a cliffside. This was painted during my 2017 residency at Lake George, Saint Mary's on the Lake.